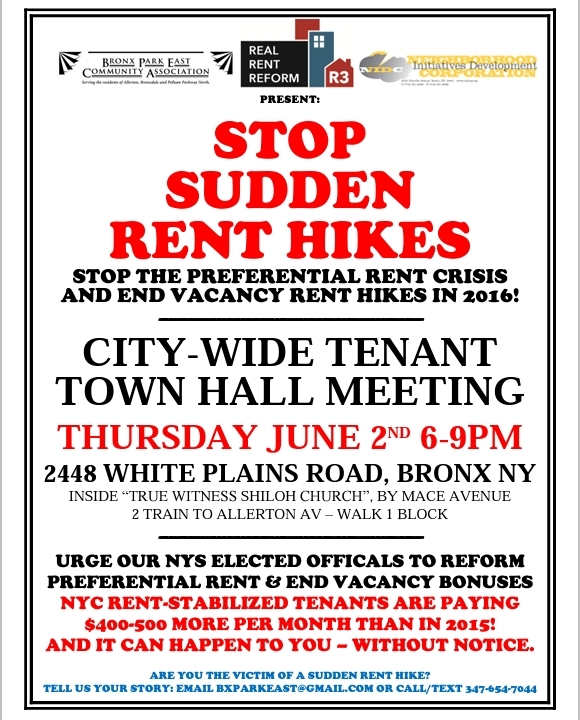 June 2 2016 Town Hall: Stop Sudden Rent Hikes via Preferential Rent & Vacancy "bonuses"
Summary: In this report, we examine the relationship between local and citywide factors in driving rent increases. We document the widening gap between rent and income for tenants at a wide range of income levels, along with an apparently related surge in overcrowding. And we dissect the mechanisms that have allowed rents to reach such unaffordable levels in all parts of the city. Rent Guidelines Board considering a range of changes. 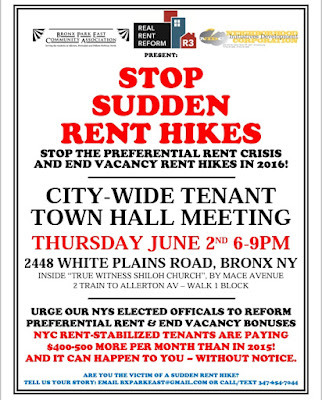 On May 2, 2016, the Rent Guidelines Board preliminarily voted to consider a range - from freezing rents for 1-year leases, to some increases. It will then take testimony at several meetings (sign up to testify by calling the RGB at 212-669-7480) and hold its final vote for the year on June 27, 2016. 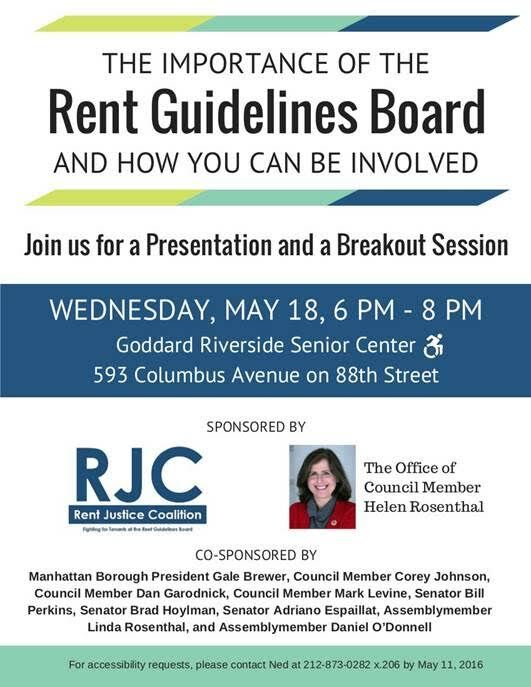 The NYC Rent Guidelines Board has set out it full schedule of the Rent Guidelines Board's public meetings for 2016. Some meetings will take testimony, others not. Come to the rally at Herald Square tomorrow (Tuesday) evening, May 2nd at 6 PM and march to the Proshansky basement auditorium at the CUNY Graduate Center before the RGB's Preliminary Vote at 7!